Europe and the United States currently dominate the sustainable investing market, but Japan is rising up as a contender. Japan’s Government Pension Investment Fund (GPIF) is the world’s largest, with $1.5 trillion in assets, and in 2017, the fund increased its target for sustainable investments in its stock portfolio from 3 to 10 percent. A recent outlook by Bloomberg says that GPIF is a key force in driving sustainable investing globally. And a survey by Japan Sustainable Investment Forum of 34 institutional investors indicates that their percentage of assets with sustainable elements grew from 16.8 percent in 2016 to 35 percent in 2017. Japan’s blossoming role in sustainable investing has huge potential for impacts globally. The country has the world’s third-largest asset management market, with its financial institutions managing near $30 trillion. But two hurdles stand in the way of Japan realizing its full sustainable investment potential—sustainability has not yet been fully integrated in business strategies and practices, and information disclosure by companies remains inadequate. Sustainability is not fully internalized. Environmental, social and governance (ESG) criteria reflect the sustainability of companies’ operations and are used to guide investments for greater long-term returns. Because of the foreign origin and short history of sustainable investing and companies’ ESG integration, the investment and business community in Japan has yet to fully understand these concepts. Critics argue that companies’ ESG disclosure lacks financially material information, and what data is available investors have difficulties interpreting. Without integrating ESG into core values, companies’ disclosures and investors’ assessments could end up being box-ticking exercises that do not inform decision-making in a meaningful way. This breeds skepticism about the value of sustainable investing and holds the market back. There is a mismatch between information needed and disclosed. Although Japanese companies are becoming increasingly aware of the demand for ESG disclosures and information disclosure is growing, investors often find it unsatisfactory. This is because what companies disclose does not match the needs of investors. For some investors, the information disclosed does not fit to their needs because it is not standardized, comparable, quantifiable or objectively verifiable. The types of information to meet such needs could include greenhouse gas emissions, water stress, amount of disposed waste, etc. Disclosing simple facts and data is not usually enough because some investors feel the information does not focus on the most important factors to business performance, or it is not articulated within the context of the company’s business strategy. A beverage company, for example, may need to do a deep dive into water resource management as investors might want to know the potential impacts of climate change on its water management and its strategy to manage water stress. On the other hand, many Japanese companies feel disoriented in the disclosure realm generally since there are no set rules or standards, and they do not fully understand the information needs of investors. Third-party data and rating agencies collect scattered data from different sources to provide metrics, reports, and ratings on companies’ ESG performance. However, the fact that these agencies use diverse sets of information and create different ratings is partly why there is confusion about what information should be disclosed and how to interpret available information. That doesn’t mean that local guidance is completely missing. Japan’s Ministry of Environment (MOE) and the Ministry of Economy, Trade, and Industry (METI) both provided guidance on ESG information disclosure. The MOE guidance takes into account recent international developments such as the Sustainable Development Goals, the Paris Agreement and recommendations from the Task Force on Climate-related Financial Disclosure (TCFD). However, the MOE and METI guidelines are voluntary. 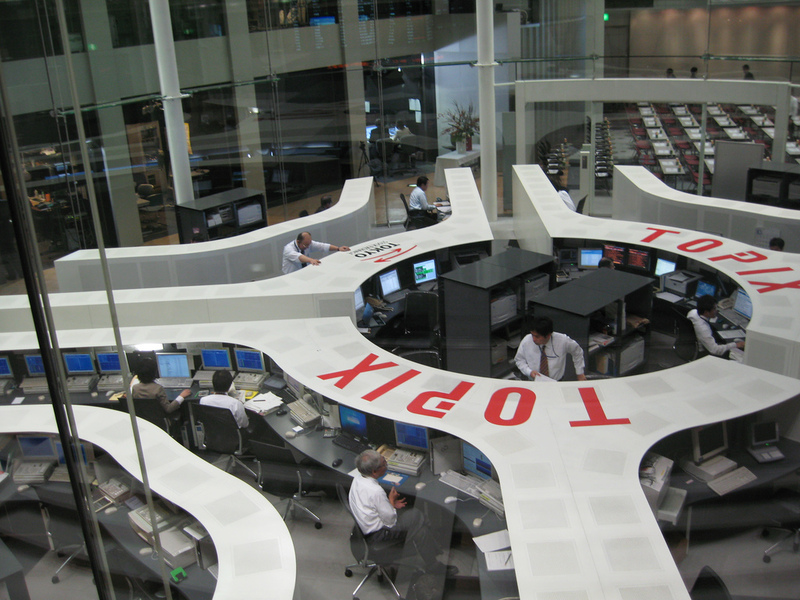 Japan’s financial regulator and the Japan Stock Exchange Group (JPX) have stopped short of developing their own corporate reporting guidelines or formally adopting MOE or METI’s guidance. The only regulatory guidance that refers to ESG disclosure for private companies is the Corporate Governance Code published by Tokyo Stock Exchange and backed by the Financial Services Agency (FSA). Listed companies need to comply with the code (or explain if they don’t), but the code itself does not give practical guidance on what information is to be disclosed and how. 1. Lead by example – and push others to follow. For sustainable investment to take root, a critical mass of investors and companies who take it seriously and adopt it is necessary. The role of front runners is important in accelerating this process. GPIF is taking such a leadership role. It signed onto the Principles for Responsible Investment (PRI) in 2015, and the number of Japanese asset owner signatories has doubled since then (from 7 to 16). It currently invests nearly $25 billion in stocks based on five ESG indices, including two recently announced carbon efficiency indices. These new indices give companies an incentive to reduce emissions by giving greater investment weight to those that are more carbon-efficient in their respective industries. In addition, GPIF has changed the way it engages with its asset managers: It requires all of them to integrate ESG considerations into their investment decisions, is monitoring them more closely, and has introduced a new performance fee structure with multi-year contracts to incentivize a long-term focus. GPIF is also strengthening its engagement with ESG rating agencies to improve their rating methods. And just this past month, it joined the Climate Action 100+, an initiative of global investors urging companies to reduce emissions . Given its size, GPIF has a significant amount of influence on other institutional investors, as well as investee companies—both within Japan and globally. To reach critical mass, it is vital for them to encourage other major investors in Japan to follow their lead. 2. Raise awareness of existing guidance for disclosure – and encourage more harmonization. Considering the different information needs and the global nature of capital markets, comprehensive guidance for ESG/sustainability information disclosure is beneficial. There are multiple international disclosure initiatives, for example, the Task Force on Climate-related Financial Disclosure (TCFD), the Global Reporting Initiative and the Sustainability Accounting Standards Board. Investors and government agencies can collaborate to raise awareness of existing guidance and call for higher-quality disclosures from companies. They could also collaborate to harmonize disclosure requirements, for instance, by aligning guidance on climate-related disclosures with the TCFD recommendations. The Principles for Responsible Investment’s report on Japan provides some suggestions on how to improve disclosures, such as by providing ESG information disclosure guidance from JPX, and reviewing the quality and comparability of disclosed information by METI and FSA. Revisiting these recommendations periodically would be important in gauging whether progress is being made. Such progress should not only help overcome the information mismatch so investors can more easily pursue sustainable investing approaches, but also help companies internalize the business case for sustainability. Given GPIF’s recent moves, it’s clear that the investment community in Japan is waking up to the risks and opportunities presented by sustainability and ESG integration. No country has put all the pieces of the puzzle together to fully integrate sustainability in the mainstream investor marketplace. But as investors in Japan deepen their efforts at home and abroad, the global prospects for sustainable investing will improve as well.